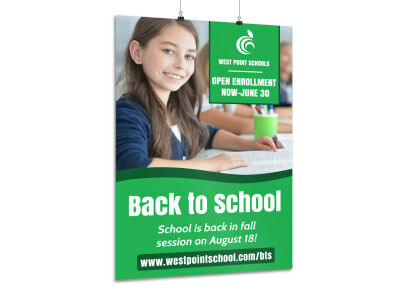 Customize our Back To School Sign Up Poster Template and more! 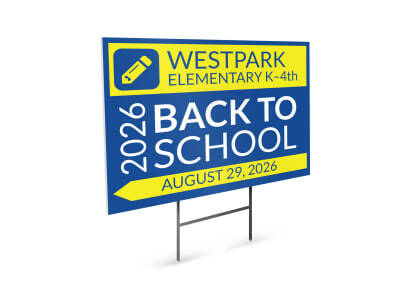 Remind parents to get their young ones signed up to go back to school in the fall with this poster you customize using our interactive online editor and templates. 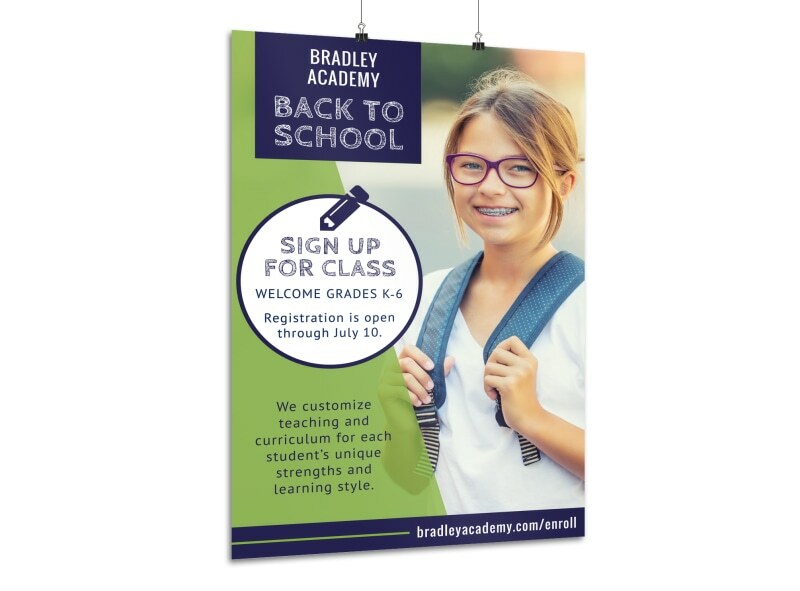 Decorate your poster with your school’s colors, mascot, and slogan, and include images of your facility, exciting text, and more. 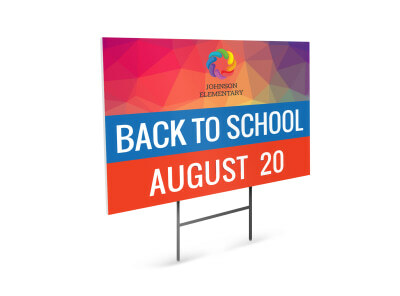 Print from anywhere or leave that part to our expert printers so you can focus on getting ready for the first day of school.